- #NurDerFCH (Only the FCH) is located on the back of the neck. There are a number of places where you can buy a 1. 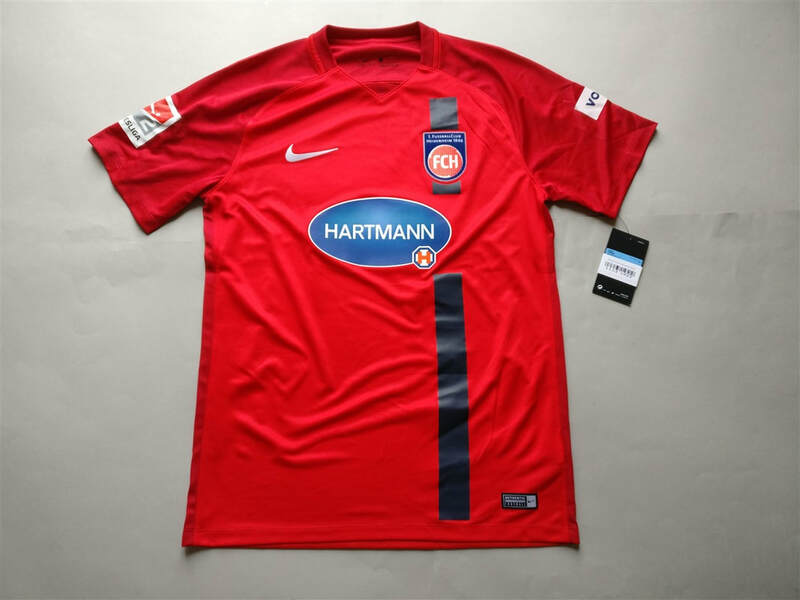 FC Heidenheim 1846 shirt online. The only problem with these places is that the price of the shirts a very high. Even when they reach the sales they only ever seem to drop 5-10% in value. However there is a way around this. Go direct to the club. Which is exactly what I did with this shirt. I managed to get this shirt for half the price and the 2. Bundesliga patch on the arm. The shirt itself is very nice. The fragmented black vertical stripe is an interesting feature. The club logo is felt but it is held within an embroidered border which does actually really help. The current manager of the club Frank Schmidt has been in charge since the current version of the club was founded in 2007. He was a player for the previous incarnation of the club for four years before this.